healthydeals.ph | Badudets Everything Nice! Group buying sites or groupons are sprouting everywhere, but one deal site stands out. While all groupon sites offer deals on restaurants, travel and gadgets, one site focused on health and wellness. 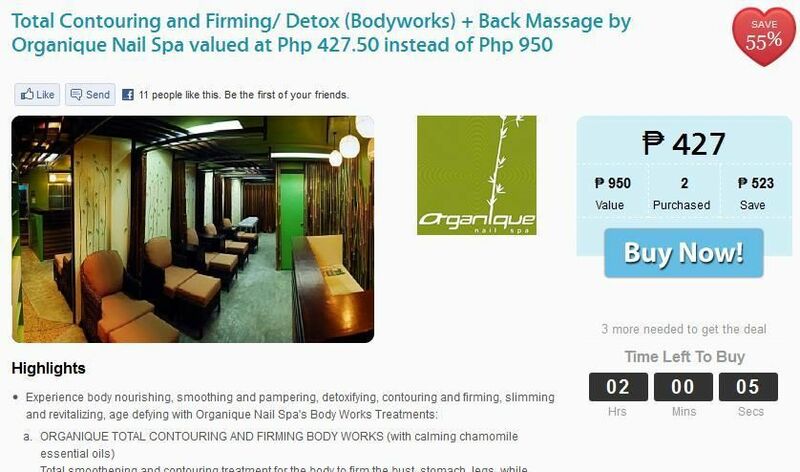 So if you’re a spa, massage, health and wellness buff, Healthy Deals Philippines is for you. What’s a healthy deal? For me, a healthy deal is when it benefits both parties, the consumer and the merchant. Well, maybe it’s the same for all groupon sites, giving discounts to consumers while having exposure to a brand. But with Healthy Deals, they are doing extra, they choose which merchants to feature that fits the bill. Merchants that provide not only monetary benefits but also look for the welfare of the consumers, their health and wellness. After all, health is wealth!